Go ahead! Raid your kitchen pantry and get mixing: These homemade masks are about to reboot your home facial routine! 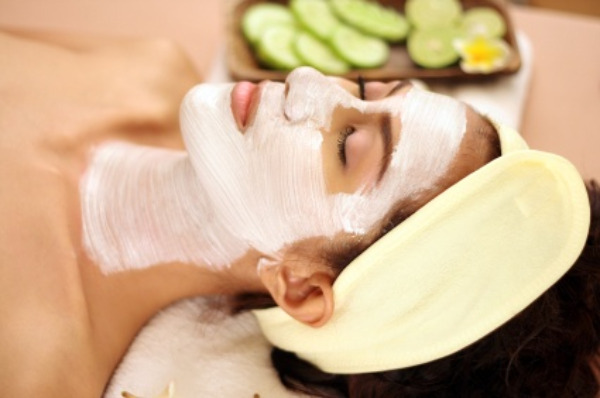 This simple treatment will cleanse and revitalize your skin. Using your fingers, mix the yogourt and oatmeal together in a bowl. Run boiling hot water over a spoon for 30 seconds, then add a few drops of honey to the spoon. This will warm and soften the honey. Stir the honey into the yogourt-oatmeal mixture, then apply the mask to your face and neck. Leave it on for 10 minutes, then rinse it off with warm water. This simple face treatment helps to nourish dry, flaky skin and enrich it with moisture. If you don’t use up all the mixture the first time, you can pop it in the fridge and use it again a couple of days later. Combine all the ingredients in a bowl, and mix them together by hand. Spread the mask over your face and neck, and leave it on for at least 30 minutes to soak into your skin. This natural mask is perfect for those who need to soothe sunburned skin. It works best with natural liquid honey rather than creamed honey. Spoon the yogourt into a small bowl, and let it sit until it reaches room temperature. Microwave the honey to soften it, then combine it with the yogourt. Apply the mask to your face, and leave it on for 15 minutes. Wipe the mask off with a steaming hot face cloth. Rich in vitamin C, zinc and antioxidants, this treatment is ideal for acne-prone skin. Squeeze the juice out of the orange, then pour it into a bowl. Slowly add the clay powder, mixing gently, then leave the mixture to stand for 30 minutes before you stir it. Apply the mask to your face and neck, and leave it on for 25 minutes before rinsing it off with warm water.